For the past two years I have worked as a security guard at the Metropolitan Museum of Art (see the previous post with my favorite pictures). Although not the strangest job I have held, it certainly ranks up there, along with the year of cooking for an art residency in Vermont. Yes, this is me. How can I help you? Before moving onto the next venture, it's good practice to reflect upon what a job has taught you and how you have grown from it. In this case, the two years of working security has taught me mountains about customer service, discipline, management, maintenance and employee relations, not to mention how much information I have gathered about the artwork and the museum itself. Most importantly, I have learned the value of true service. Unfortunately, I was born with a huge ego and this job has done wonders tampering it down. As I emerge from this two-year boot camp in humility, I gaze about me and marvel that more people from my college and socioeconomic background haven't chosen the same path. What has everyone else been doing? Sometimes families want to protect their children from service-industry jobs. This is particularly the case in upper class and upper-middle class families. Parents from these families strive to keep their children at a certain social class their whole lives. Hence, legacies at college and nepotism in the work force. We call this the "Golden Parachute." It is an entirely fear-based manner of child-rearing that fails to impart necessary human values upon the offspring. Coming from an upper-middle class family myself, I can attest to this. My paternal grandmother and grandfather worked in the New York City public schools and in the diamond district, respectively. I spent a lot of time with my father's parents growing up and they instilled in me not only the value of a good education but also the motivation to attain financial freedom. You see, both of them lost their jobs and pensions in the 1970's when New York City went bankrupt. I cannot imagine facing this in middle age with a young child in school. With a clean slate, they moved to California and did their best to start over again. So you can imagine how important it has been for my grandparents to see that their children, grandchildren and great-grandchildren avoid the same calamity. When it came to picking colleges, I was encouraged to apply to the best. Thankfully, I got into a great school! But for some reason, I could never commit myself to the academic subjects that would ensure a steady paycheck: hard sciences were too far-removed from human interaction; math class was orchestrated solely by computer; everyone in the psych department seemed legally insane; I couldn't pick a topic in history, English or art-history that held my interest longer than a 10-page paper; I loved Italian but started too late in college to major in it; computer science was yet another language I wasn't willing to learn...the list goes on and on! My parents and grandparents were probably scratching their heads, wondering: what's wrong with this girl? In the end I picked art because it was the subject I was happiest in. Also, I figured that if I wanted to help people in life (and I still do), I should figure out myself first. Art seemed the proper vehicle for this. Much to the chagrin and horror of many, a Studio Art major it was. Unfortunately, art majors seldom go on to make millions. 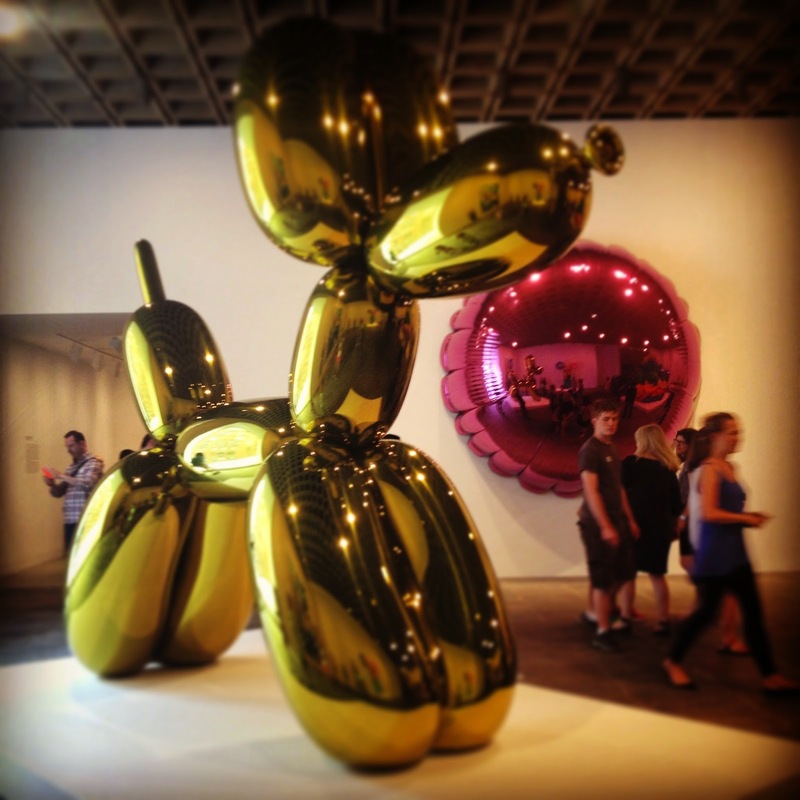 That is, unless your name is Jeff Koons or Matthew Barney. These guys are marketing geniuses! But that is their path and their role. We each have a unique part to play. My role so far has been to take on different types of jobs in a variety of industries all across the world in order to gain experience and meet as many people as possible. Hence, the waitress job in Ohio; the one-year cooking stint at the Vermont Studio Center; the hostessing job at Otto pizzeria; the volunteering at a Jewish Domestic Violence non-profit in Oakland; the month when I wandered around Italy and no one knew exactly where I was; the two years at the Met, and so on and so forth until I land exactly where I am supposed to be. I have met thousands upon thousands of people and have a ton of interesting stories (ask me about the body-paint girl or the hookah joint in Paris), but to be fair, this path has not been a financially stable one. I am fortunate to have a supportive family and friends whom I can turn to if I need help. My honest belief is that this tumultuous period of my life is almost over and that life will begin to solidify and propel me forward at rocket speed. It is about to happen. And then I can finally give back to everyone who has been supportive (and not so supportive) of me during the past thirty-one years. But back to to the Met! It's good for people to work service jobs, especially if they don't have to. My dad worked at his Uncle Benno's health food store; my grandmother worked at her mother-in-law's diner (who incidentally couldn't taste the pork dishes because she was Kosher, so she asked her customers to sample!). Most of my friends from immigrant and "boot-strap" families have similar stories of parents and grandparents who worked entry-level and service jobs to get by and provide a better education and subsequently, opportunities, for their offspring. I wholeheartedly agree with this, but what I see more commonly is that the children and grandchildren are being elevated into elite schools and positions without first experiencing what it's like to SERVE OTHERS. I'm not talking: working at a non-profit or donating to charity once a year for tax purposes or giving your nanny a Christmas bonus. I'm talking: "How can I serve you today? What sandwich would you like?" Or: "Did you find your shopping experience pleasant today?" I'm talking: wearing an apron, cleaning bathrooms, picking weeds, or standing all day on a hard f*cking floor while smiling. Not: going straight from college to a bank or law school or med school without understanding what it is like working a 9-5 job where people take their sh*t out on you because they wear a suit while you don a uniform. Humility is an important attribute. Patience is a virtue. Compassion and empathy can be nurtured. But arrogance, elitism and class-ism are not to be tolerated anywhere by anyone. If any of the people who approach me at the Metropolitan Museum of Art with sneers and jeers could experience what it's like to stand eight hours a day on marble, perhaps they would not be as condescending. And my job isn't even that hard compared to most of the working world. 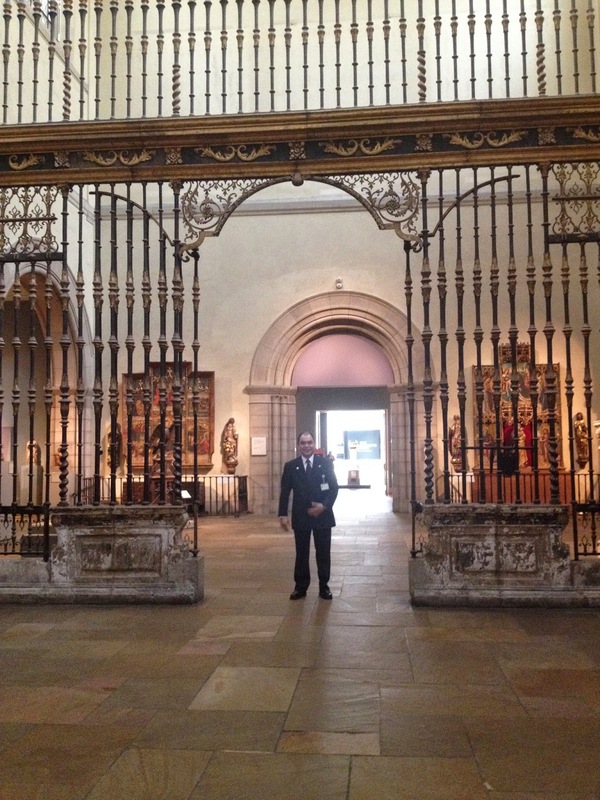 Before working at the Met, I had never even noticed museum security guards. Can you believe it? This is coming from someone who has been dragged to art museums her entire walking life, which is probably since the age of two. In my ignorance, I simply skipped over an entire body of people who were there to serve me and help me in case I got lost. Most people don't notice me when I'm wearing a suit. In fact, a friend recently reflected that I must meet a ton of people while working at the Met, which now attracts six million people per year. "No," I replied. "People don't see me." It's true. Once you put on the uniform, you lose your identity (the small "i") and become part of a larger entity. The military and prison systems do this systematically to control people and prevent them from thinking independently. 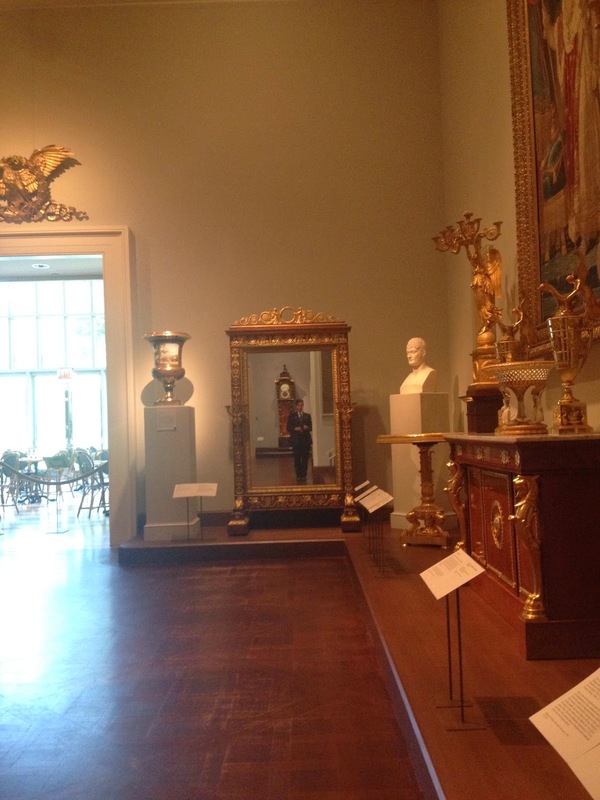 Similarly, as a guard, I represent the Metropolitan Museum of Art, not Ariel Elizabeth Churnin. Personally, I don't care if you videotape your mom walking down the corridor of Rodin statues. However, as a representative of the Met and an enforcer of it's rules, I must tell you to stop. It's simple. I am not acting for myself but for the institution. But if you piss me off enough, I'll gladly represent myself. Then again, I may get fired, so I'll hold back. But have a nice day. "Spiritual-type people" are wasting their time and money going on expensive retreats and asking yogis or whatever to help them cleanse their egos. If I were a yogi or a grand guru, I'd tell them: Go clean a filthy bathroom and then come back to me. Learn to smile when someone insults you to your face and wish them a nice day. Learn how to do that. And then come back to me, and we'll talk ego stuff. 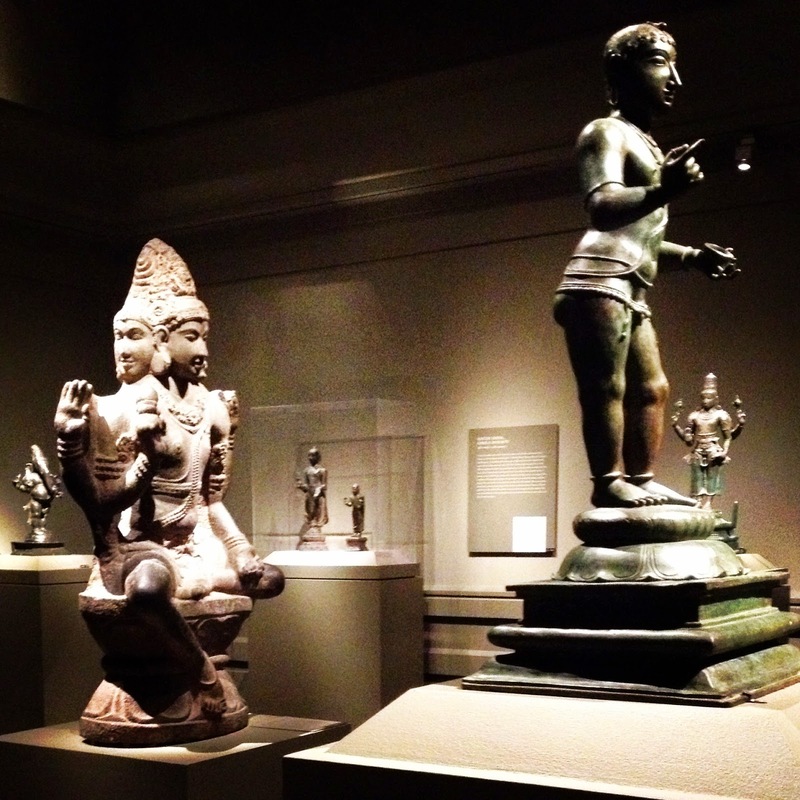 Recently, my father told me that he approached a museum guard in San Francisco. "My daughter is a guard, too," he said. "She works at the Met." I imagine the other guard smiling, feeling a sort of universal-guard-kinship, and replying, "Wow, that must be amazing." The fact that my father reached out to this lonely (and probably bored) guard means a lot to me. It shows, not surprisingly, my father's capacity for empathy. He sees this guard and understands that she or he is someone's child, just as I am his child, working in another museum far, far away. Perhaps before I worked at the Met, he too, passed by the guards. But I guarantee you that from now on, neither one of us will walk past a museum security guard without a nod, a smile, or a "How do you do?"